The wedding season is going on with a full peak around the world including Pakistan. So the demand for bridal dresses increases in 2018 like previous years. 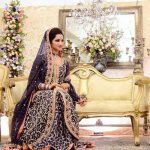 Pakistani Bridal Dresses Pictures 2018 will consist of a lot number of traditional and stylish outfits. 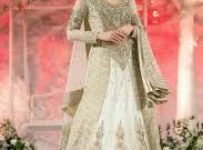 Pakistan’s fashion industry is flourishing with every passing day and people have more are experimenting various innovation styles, intricate patterns, sophisticated embellishments and elegant cuts for bridal dresses. Every bride wants to look unique and best of herself on her wedding day. The designers always try to fulfill the expectations of the brides with these stylish dresses. 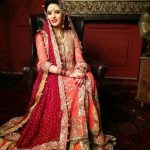 The latest fashion trend for Pakistani wedding dresses is a nice fusion of tradition and modern styles. 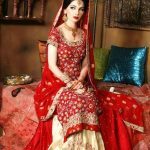 Let us discuss some of the latest wedding dress designs for Pakistani brides. 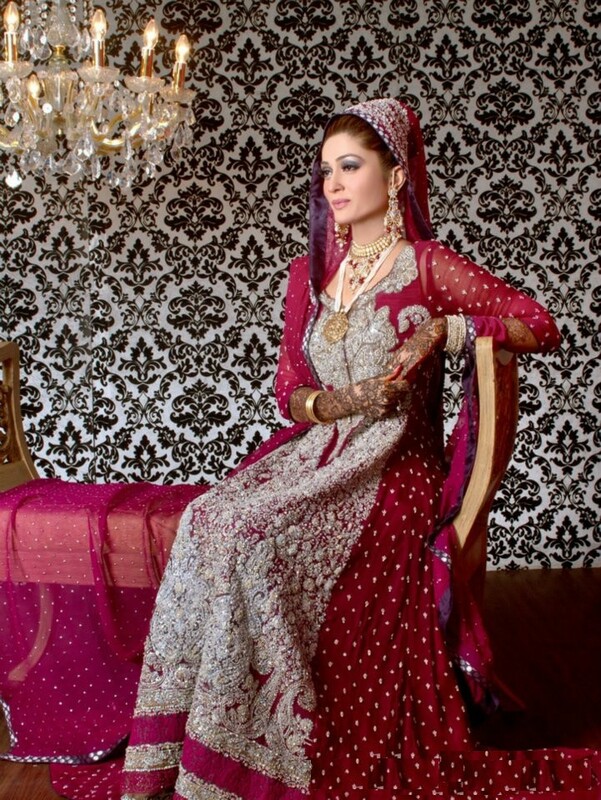 The Pakistani bridal dresses are marked with a traditional look but they carry an element of modernity and class. 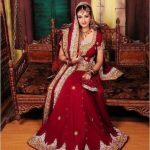 Traditionally brides wear lehnga and choli (blouse) on their wedding. Sharara and garara was also a custom bridal dress. These days Aline lehngas are in fashion Gone are days of fishtail or mermaid style lehngas. The A-line lehnga is tight at the waist hem and fall in a flare. It gives a classy slim look to the bride and also adds few extra inches to the height. The choli or blause was traditionally short, just above the waist but now the long shirts, frocks, and gowns are being worn on a line lehnga. 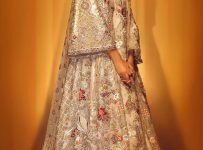 In 2018 you can see lehnga and shirt with unique patterns of embroidery with shiny threads, diamonds, sequins and metal pieces also. 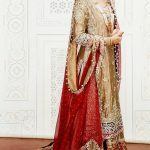 As a religious Pakistani Bridal Dresses tradition dupatta is worn by the brides. 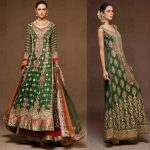 Mostly there is less embroidery on dupatta because it has to be worn on the head. The flary frocks are also in fashion for brides but usually, they prefer lehngas. 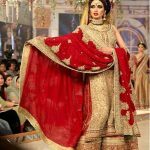 In Pakistani Bridal Dresses Red is the traditional color of wedding dress but now it is going out. The designers are experimenting with contrasting colors along with one shade from the family of red. 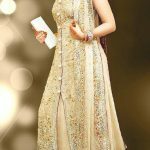 But on Walima ceremony brides like to wear light colors instead of a dark color combination. Some brides also prefer light and cool colors for the wedding day to have a change look. 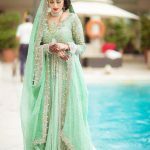 So, you can see Pakistani bridal dresses in white, light green, blue and pink in the market. 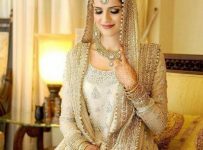 With the increasing fashion sense in general public of Pakistan, they opt for style and elegance in Pakistani Bridal Dresses 2018 rather than the heavy embroidery and thick embellishments and the designers have successfully attained this goal.